Also known as defined contribution plan, 401(k) is a type of savings account that derived its name from the subsection 401(k) of the Internal Revenue Code. With this, employers can help their employees save money for retirement and it is also one way to keep valued and tenured workers of their company. Workers have the option to deposit part of their salary into a 401(k) plan. It is to be administered only by the employers and the employers also have the right to choose on various investment options when it comes to participant-directed plans. 401k withdrawal rules depends on your age for as long as you are no longer an employee of the company who administered your 401k plan. Above 59 ½ and less than 70 ½ years old – You can take a lump sum amount with your distribution from 401(k) plan. The provider of your plan will issue a check that will be deducted 20% for the withholding tax that will be counted against your payable income tax or will be counted towards refunds upon filing your tax returns. For amounts that are above $5,000 it is to be left with your previous employer and you can do nothing about it. Regardless of your age amounts less than $5,000 are usually distributed (subject to 20% withholding tax). Under 59 ½ years old – You can take a lump sum amount and it will also be taxed 20%. This tax shall be withheld counted against your payable income tax and will be counted towards any refunds upon filing your tax returns. You will also be charged 10% early withdrawal penalty but this will not be withheld. There’s nothing you can do about amounts above $5,000 and you’ll just have to leave it with your previous employer. Amounts less than $5,000 are usually distributed regardless of age (subject to 20% withholding tax). You can do a 401k rollover to IRA or a solo 401k plan. 70 ½ years and older – Minimum distributions are required upon reaching this age. Taking a lump sum distribution is allowed and will be subjected to 20% withholding tax. This tax shall be withheld counted against your payable income tax and will be counted towards any refunds upon filing your tax return. There’s nothing you can do about amounts greater than $5,000 and you’ll just have to leave it with your previous employer. Amounts less than $5,000 are usually distributed regardless of age (subject to 20% withholding tax). A rollover to an IRA can also be done. 401k limits to contributions for 2010 and 2011 are still $16,500 and $22,000 for plan holders aging 50 and up ($6,500 catch-up limit). Your contributions may be lower than this because of restrictions from your employers but usually your employer matches the contributions that you want to make. For emergencies, you can turn to your 401k and borrow money from it. But to avoid unnecessary fees by borrowing from 401k account, you need to observe federal laws. You can borrow as much as half of your principal amount from your 401k ($50,000 accumulative loans per year). A maximum repayment period of 5 years is the standard set by the federal law although there will be extensions given to borrowers depending on the level of hardship. There may also be required minimum loans and maximum number of loans per year so it is best to read the fine print of your 401k. 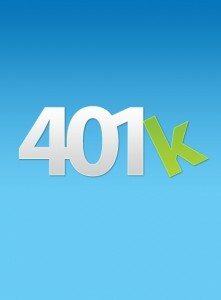 As 401k advice for anyone, cashing out 401k should be your last resort. It is better to have loans with your 401k rather than to cash it out because of the considerable amounts of penalties incurred in doing so. But if you really want to do so then you should have a word with the human resources department of the company that administered your 401k. They should have all the information needed in cashing your plan out. This is some great information. Thanks for the tips and advice. I have a feeling I am going to need help from solo 401k in the near future.